When you walk down the fairways of Shirley Park Golf Club it’s hard to believe you are only one mile from East Croydon station. This is because an open park area on one side and the wooded Shirley Hills on the other flank our Surrey countryside golf course. 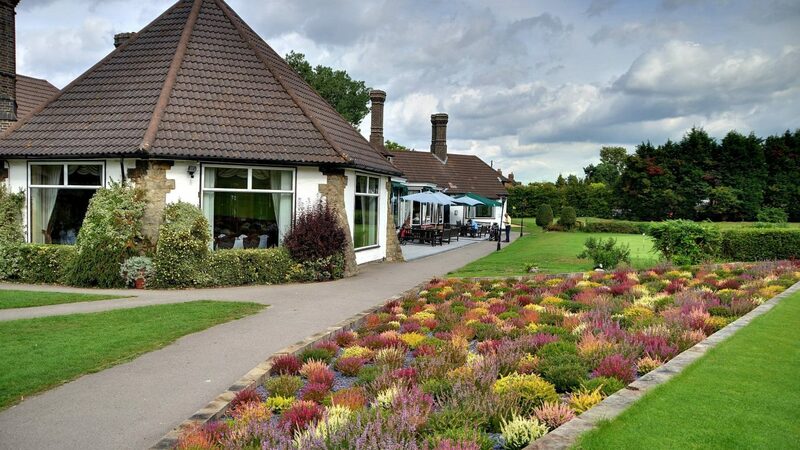 Our generous fairways accommodate all levels of handicap golfer and our undulating greens are commented on very favourably by amateur and professional alike, as being amongst the best maintained in Surrey. For the society golfer there is the promise of 18 holes of challenging golf, followed by a professionally prepared meal in our spacious dining room. Our players’ bar has a large TV showing top golf and other sporting events while you wind down. As a privately-owned club, it won’t surprise you to know we have a very modern, recently-refurbished lounge, with a bar that provides a full range of wines, lagers and selected fine ales from Fullers, who are our resident brewers. From £35pp in winter and £51pp during the summer months. Society days available: Tuesday and Friday all day, plus Monday and Thursday afternoons. 11/2 miles from Croydon town. From £25 to £40 per round.